The World Organisation of Dredging Associations (WODA) and Central Dredging Association (CEDA) are pleased to announce that the WODA workshop on underwater sound in relation to dredging, will be held on Thursday 26 March 2015, in Paris, France. The effects of underwater sound are an important environmental issue and this is clearly reflected by main policy developments such as the e EU Marine Strategy Framework Directive or the US NOAA Ocean Noise Strategy. Increasingly, developers and planners working underwater are being required to consider and manage underwater sound. 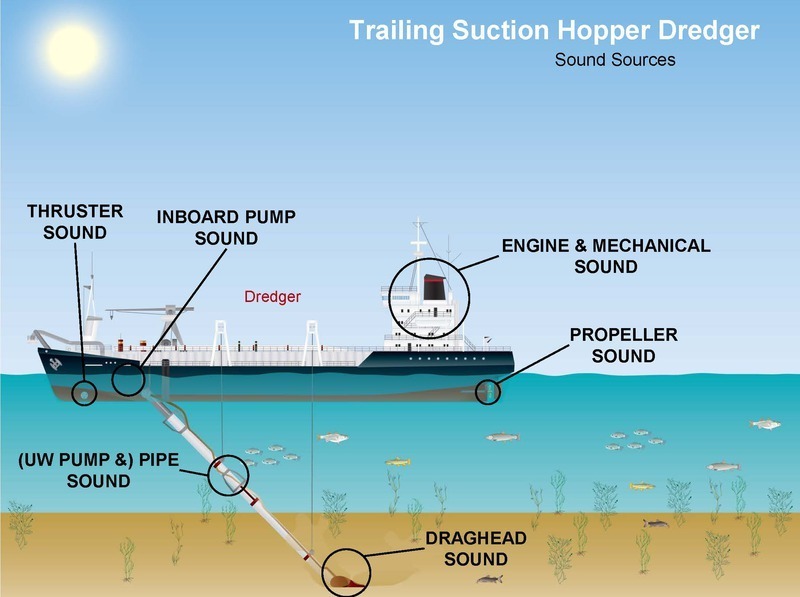 In June 2013 WODA published a Technical Guidance on Underwater Sound in Relation to Dredging. It was compiled by the WODA Expert Group on Underwater Sound, under the remit of the WODA Environmental Commission, and reviewed by experts in the field. The paper was well received among scientists and stakeholders from policy and industry. This workshop will bring the Technical Guidance “to life”. Workshop Chair, Dr Frank Thomsen, say’s “The workshop sessions will be run by leading experts from around the world. They will share the latest knowledge and provide up-to-date guidance on how to assess the effects of underwater sound from dredging operations on marine life. With their practical experience speakers will place the Technical Guidance firmly into context for delegates." The workshop is organised by CEDA, on behalf of WODA, and supported by Cerema (Center for expertise and engineering on risks, urban and country planning, environment and mobility) and French Maritime Cluster (CMF).